Find the hidden words!Search for them and get score. 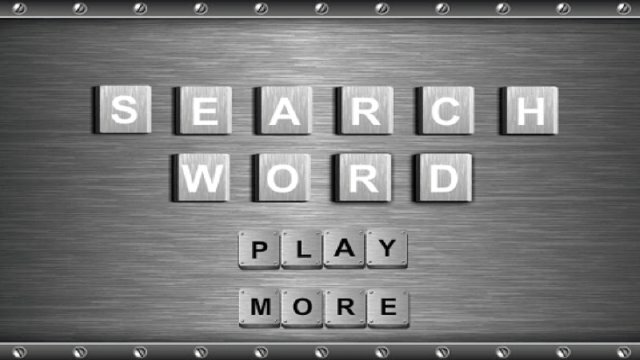 One of the best Search Word games on the market. This game consist's of 8 rounds in which the player tries to achieve as high a score as possible in each of the 8 categories (more on these later). 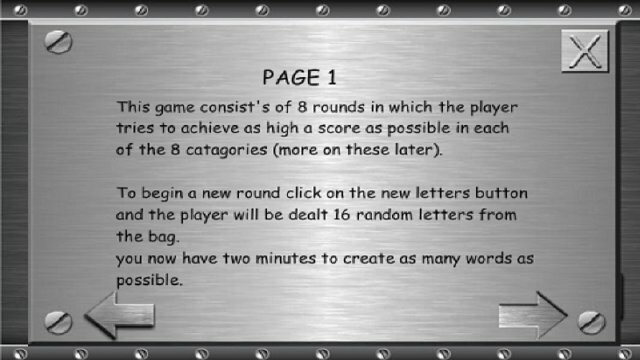 To begin a new round click on the new letters button and the player will be dealt 16 random letters from the bag.you now have two minutes to create as many words as possible. Words are created by tapping the letters on the table. To remove a letter from your word TAP the letter again. To complete a word click on the ENTER button. If the word is invalid or complete no score will be given and all letters will return to the table. If the word is valid (found in the dictionary) scores will be added to the relevant categories and the word will be displayed in the list. At the end of each round the player will need to select which category to be scored on. Each category can only be scored once so choose carefully. Once a score has been selected tap on the NEW ROUND button to begin new round. To score in each category words must meet certain criteria. 3- words with 3 letters are worth 5 points. 4- words with 4 letters are worth 10 points. 5- words with 5 letters are worth 20 points. 6+ words with 6 or more letters are worth 50 points. 20+ to score in this category you must spell 20 or more words in a single round. Slam - to score a slam the player must use every letter at least once in a single round. Straight - to score a straight the player must have at least a 3, 4 and a 5 letter word additional points can be scored for 6, 7 and 8 letter words. Count - simply scores 5 points for every word regardless of number of letters. Additional to these the player can score an extra 200 points in any round by completing an 8 letter word. Often the best strategy is aim for a particular category based on the letters dealt to you. Even with bad letters it is often possible to spell a large number of three letter words or use each letter at least once.